Learn how the liver loving Silymarin works for you! According to a report by Euromonitor, Filipinos are the 3rd heaviest drinkers in the world. While many people think of this as a feat to be proud of, doctors would disagree as excessive alcohol consumption is one of the leading causes of liver disease. Any liver disease is a serious condition, so much so that it often leads to complications that are difficult to treat. While it is difficult to avoid alcohol— it's a huge part of our culture, after all— we can protect our livers with the right supplements. 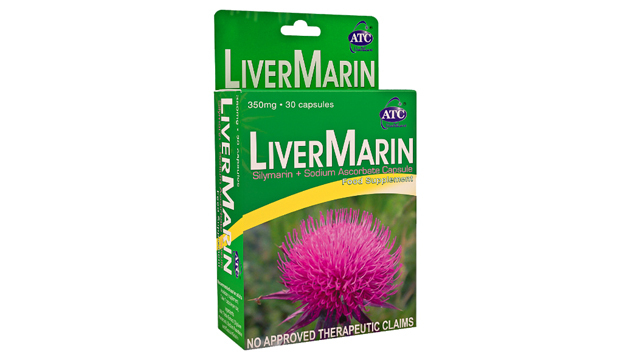 ATC Healthcare International Corporation sought out the best Silymarin to fit into one convenient capsule— LiverMarin. LiverMarin is a dietary supplement containing 250 mg of Silymarin or Milk Thistle, and 100 mg of Sodium Ascorbate. Milk Thistle’s active ingredient, flavonoids, can be broken down into two main components, Silydianin and Silychristin. Together, these two can form Silymarin— a supplement known to have the potential to protect your liver by acting as an antioxidant and by promoting the growth of new liver cells while preventing liver damage. Aside from Silymarin, LiverMarin contains Sodium Ascorbate, a form of Vitamin C which acts as an immunity-booster and enhances the absorption of Silymarin in the body. In addition, regular intake of LiverMarin may also help in digesting fat that aids in the treatment of fatty livers, preventing and treating liver diseases such as liver cirrhosis, Hepatitis A and B, managing SGPT and SGOT levels, and in managing insulin overproduction. LiverMarin is recommended to be taken 1 capsule with warm water before every meal, or as prescribed by your doctor. For inquires, you may contact ATC Healthcare Customer Care thru these numbers: 516-8888, 0909-3333333 or 0917-5623333.